Find all the notes on your piano! 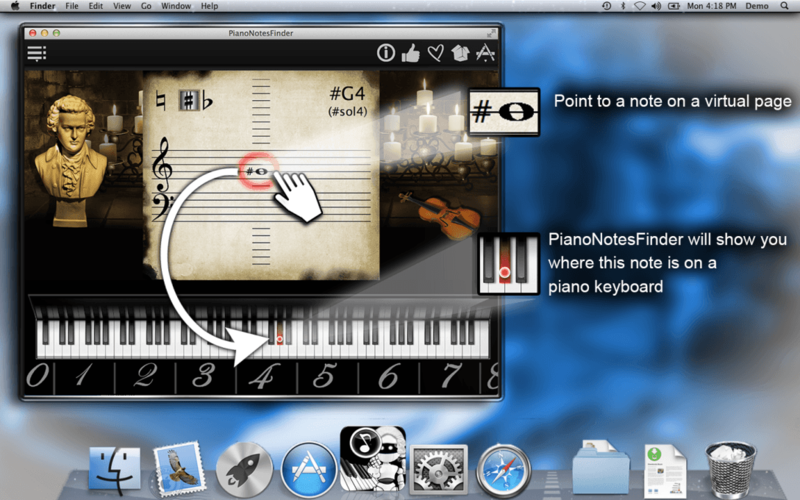 If you are learning how to play piano and need help reading sheet music, Piano Notes Finder is the right app for you! This app is suitable for beginners, and it will help you develop your music-reading skills. Take advantage of its full-range virtual keyboard and virtual music paper to learn a little or a lot about piano notes and play them with authenitic grand piano sound! Let PianoNotesFinder help you! This app is suitable for beginners, and it will help you develop your music-reading skills. 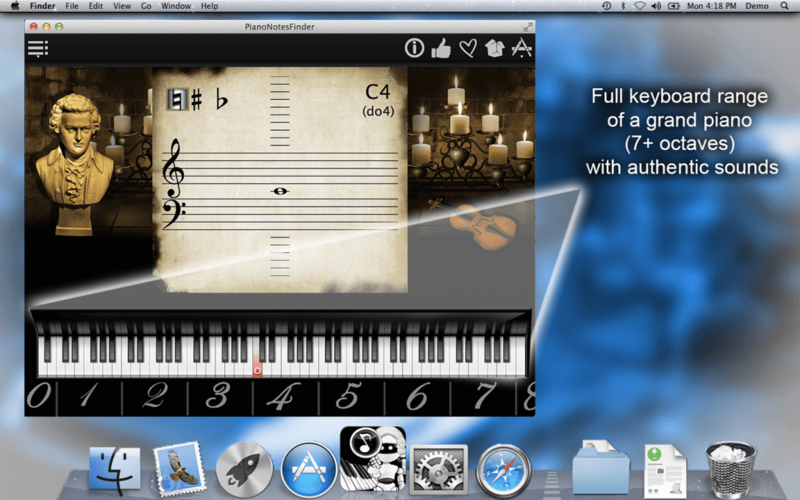 Just point to a note on the music sheet, and PianoNotesFinder will locate this note on our virtual piano keyboard. 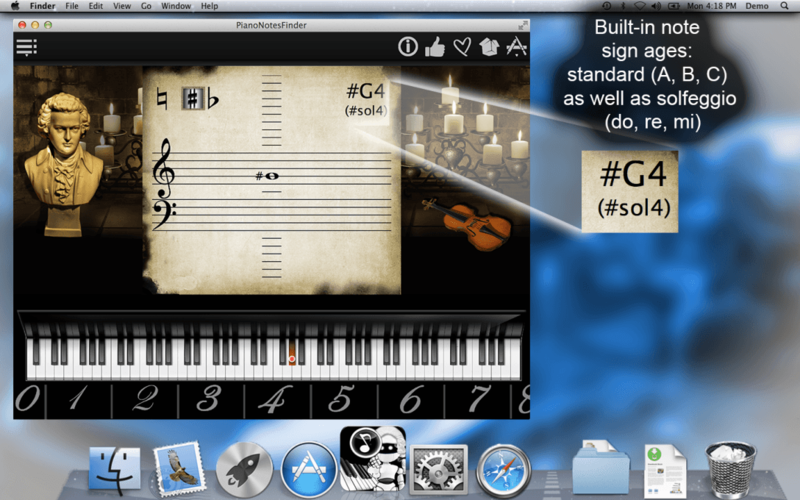 Or, click on a piano key, and the app will show you the corresponding note on the music sheet and play it for you! Go ahead, try out all the keys and music notes! The more you play, the faster you will memorize the keys and the notes that represent them. 3. Built-in treble and bass clef modes with flats and sharps. Hello and welcome to PianoNotesFinder! 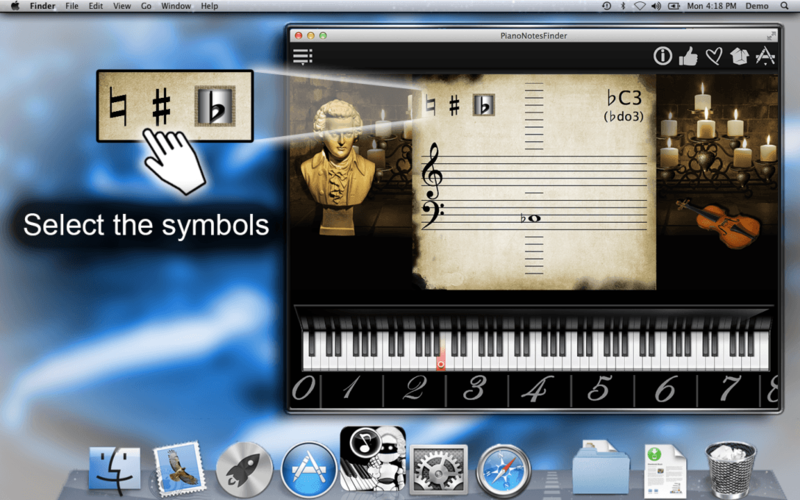 With this app, you can learn how to read sheet music for piano and find the notes you need on a keyboard. Using this app just a few minutes a day, you can improve your music-reading skills! Move the cursor up and down the music sheet. At the same time, you will see the corresponding keys for these notes on the keyboard. Click the note to hear its sound. 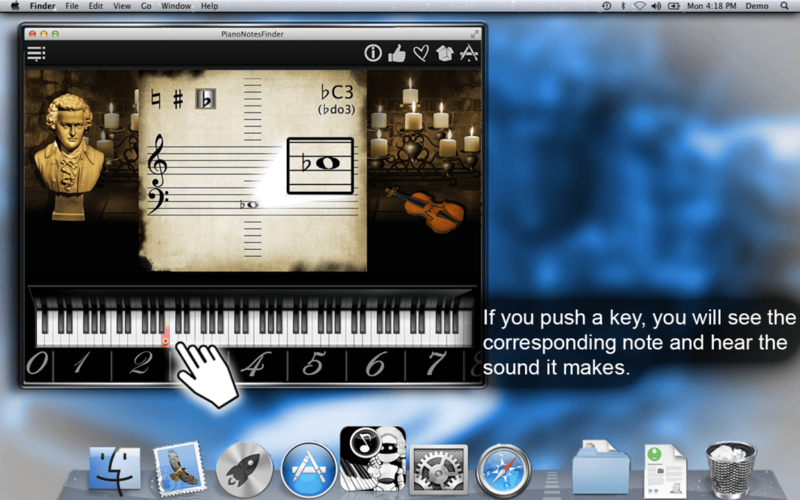 Or, click on a key on the keyboard to hear the sound and to see the corresponding note on the music sheet. You can change the signs. Play around and try to remember the notes and their positions. Have fun with the PianoNotesFinder! How can we slow this down (a lot)? As a beginner, I need to stay fairly close to Middle C for the time being. For iPad we will implement the possibility to hear the sound with click on the play button. If we understood you right, that will solve issue. can I use my midi keyboard to play notes? no, but it is a good idea for an app update.